The current edition (2019) is its 73rd year of publication. 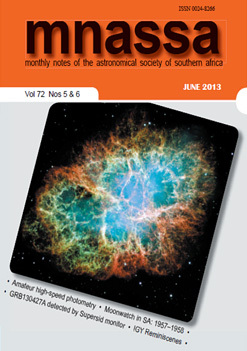 ASSA Country Members receive a copy in the post as part of their membership benefits. Members of ASSA Centres may approach their Centre committee to enjoy a reduced price for a copy for their own personal use (but not for onward selling). 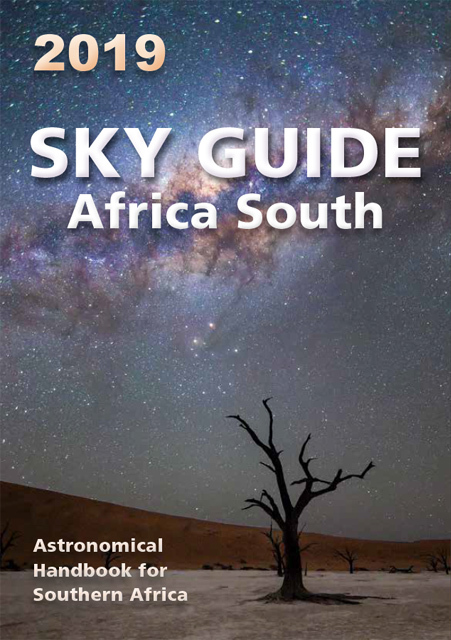 The Sky Guide is also available from bookshops or on-line bookshops such as Loot.co.za, Exclus1ves.co.za or Takealot. Bulk orders of the Sky Guide (for bookshops and other re-sellers) may be negotiated directly with Lucille Bester at Struik Nature: (e-mail: lucilleb randomstruik.co.za, phone: 021 460 5400).